Very fibrous and fast-burning. 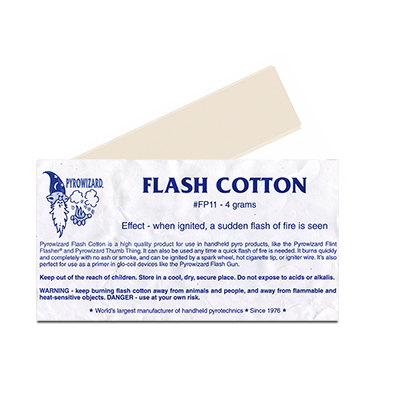 Ignites faster and easier than Flash Paper, so it's excellent as a primer in all Glo-Plug devices. Specially designed for Spark Wheel Assembly devices.